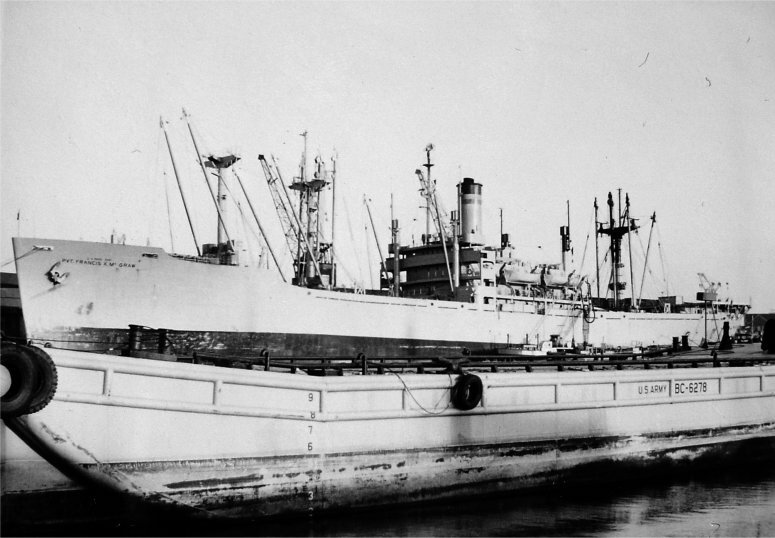 Laid down as SS Wabash Victory a Maritime Commission type (VC2-S-AP2) hull, under Maritime Commission contract (MCV hull 796) at California Shipbuilding Corporation, Los Angeles, CA. Final Disposition, sold for scrapping, 21 August 1974, to National Unity Marine Salvage Corp. Propulsion steam turbine, single screw, 8,500shp. Private First Class Francis X. McGraw U.S. Army, Company H, 26th Infantry, 1st Infantry Division was born in Philadelphia, PA on April 29, 1918. He was killed in action near Schevenhutte, Germany November 19, 1944. He was awarded the Congressional Medal of Honor on October 25, 1945 (Posthumously). Other awards included the Bronze Star and Purple Heart. He is buried in Henri-Chapelle American Cemetery, Henri-Chapelle, Belgium in Plot A, Row 18, Grave 25. 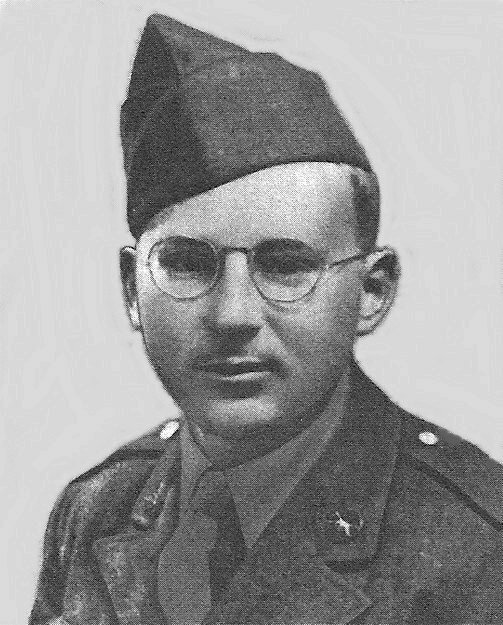 Congressional Medal of Honor Citation: He manned a heavy machinegun emplaced in a foxhole near Schevenhutte, Germany, on 19 November 1944, when the enemy launched a fierce counterattack. Braving an intense hour-long preparatory barrage, he maintained his stand and poured deadly accurate fire into the advancing foot troops until they faltered and came to a halt. The hostile forces brought up a machinegun in an effort to dislodge him but were frustrated when he lifted his gun to an exposed but advantageous position atop a log, courageously stood up in his foxhole and knocked out the enemy weapon. A rocket blasted his gun from position, but he retrieved it and continued firing. He silenced a second machinegun and then made repeated trips over fire-swept terrain to replenish his ammunition supply. Wounded painfully in this dangerous task, he disregarded his injury and hurried back to his post, where his weapon was showered with mud when another rocket barely missed him. In the midst of the battle, with enemy troops taking advantage of his predicament to press forward, he calmly cleaned his gun, put it back into action and drove off the attackers. He continued to fire until his ammunition was expended, when, with a fierce desire to close with the enemy, he picked up a carbine, killed 1 enemy soldier, wounded another and engaged in a desperate firefight with a third until he was mortally wounded by a burst from a machine pistol. The extraordinary heroism and intrepidity displayed by Pvt. McGraw inspired his comrades to great efforts and was a major factor in repulsing the enemy attack. 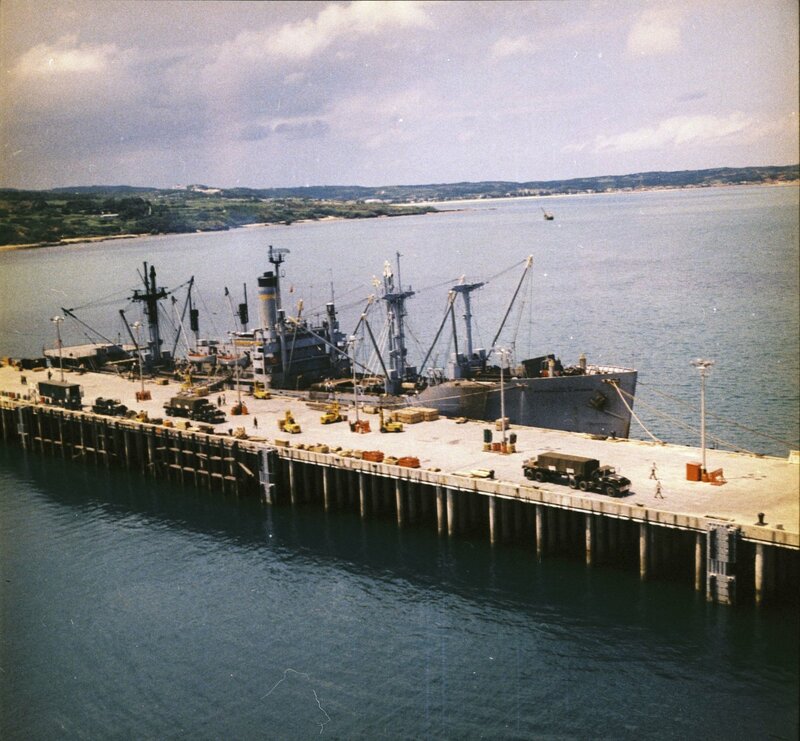 426k USNS Pvt Francis X. McGraw (T-AK-241) loading chemical weapons at Tengan Pier, Okinawa during Operation Red Hat in September 1971. Operation Red Hat involved removing chemicals stored on Okinawa to Johnston Atoll.